Tue, Feb 12, 2019, 12:05 pm SL Time, ColomboPage News Desk, Sri Lanka. 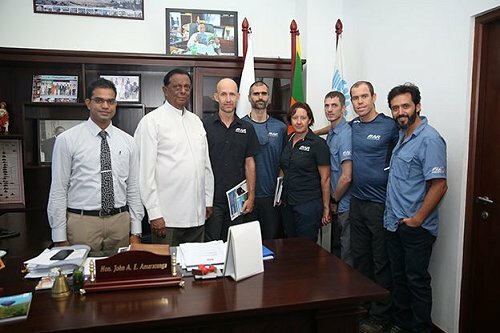 Feb 12, Colombo: Sri Lanka Tourism Promotion Bureau (SLTPB) will be making inroads towards sports tourism, by supporting the internationally acclaimed adventure sporting event "Adventure Racing World Championship" which will take place in Sri Lanka from 3-13th December. The entries for this event will open on the 15th of February, where teams from all around the world will be encouraged to apply. The participants are poised to have an unforgettable experience that will see a fusion of the best of Sri Lankan cuisines, the most picturesque locations in the country, a dose of culture and the warmth hospitality of its people. During their stay in the country, the AR World Championships team, will fine tune the best possible course, prepare for the safest delivery of the race, and meet with event partners. The team is led and coordinated by Craig Bycroft and Louise Foulkes, Directors of the AR World Series with a team that they have handpicked and put together for the event. The AR World Series unites in competition the world's best endurance athletes at premiere Qualifier events around the globe. The racing calendar culminates annually at the AR World Championship where these teams compete for the title of World Champion. Over 500 people travel to the AR World Championship including 75 teams of four athletes, (300) media, staff, volunteers, family and friends. With an estimated visitation of 6000 bed nights, this event brings a value of USD 1.5 million spent in the local economy. This will no doubt boost the country's economy as well as enhancing the tourism sector.